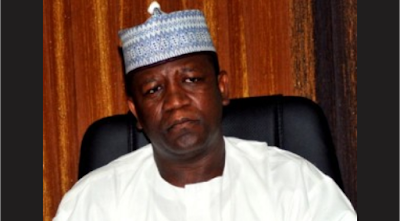 Subsequent upon the allegation by the Senator representing Zamfara Central, Kabiru Marafa, that Governor Abdulaziz Yari and his deputy were responsible for the insecurity in Zamfara state, the governor has boasted that he will kill Marafa politically in 2019. Governor Yari said Senator Marafa was only playing politics with security of lives of Zamfara people without contributing anything to end the challenges, stressing that he was seeking unnecessary relevance ahead of 2019 elections. Senator Marafa had yesterday, while contributing to Senate debate on insecurity in Nigeria, alleged that governor Yari and his deputy run criminal gangs who have been laying siege on the state, adding that the criminal gangs and militias had kidnapped some persons in his community. The Governor who spoke through one of his Special Advisers, Alhaji Salisu Isah at a press conference in Kaduna today responded to the alarm raised by the Senator that if anything happened to him, Governor Yari should be held responsible.